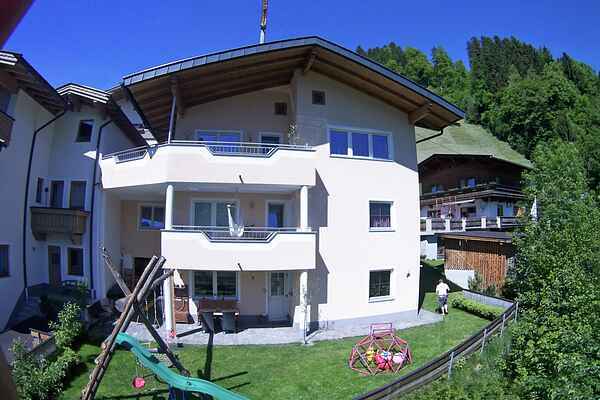 This nice and comfortably furnished apartment is situated on the hillside of Schwendberg mountain, approximately 2.5 km above the town of Hippach. A completely furnished eat-in kitchen, 2 bedrooms and one bathroom with shower and a separate toilet are waiting for you. Spend time on the terrace and in the garden, where you'll have a magnificent view over the entire Zillertal and the Zillertal, Tux and Kitzbühel Alps. The landlords have a heart for children and are able to provide a number of playthings such as a swing and a slide for the kids to enjoy. The ski shuttle stop is just 200 metres from the holiday home. It'll quickly take you to the nearby Horbergerbahn or the Mayrhofener mountain lifts and thus to the well-known ski resort Mayrhofen. For skiing and snowboarding, you'll have 159 kilometres of slopes and 51 ski lifts at your disposal.